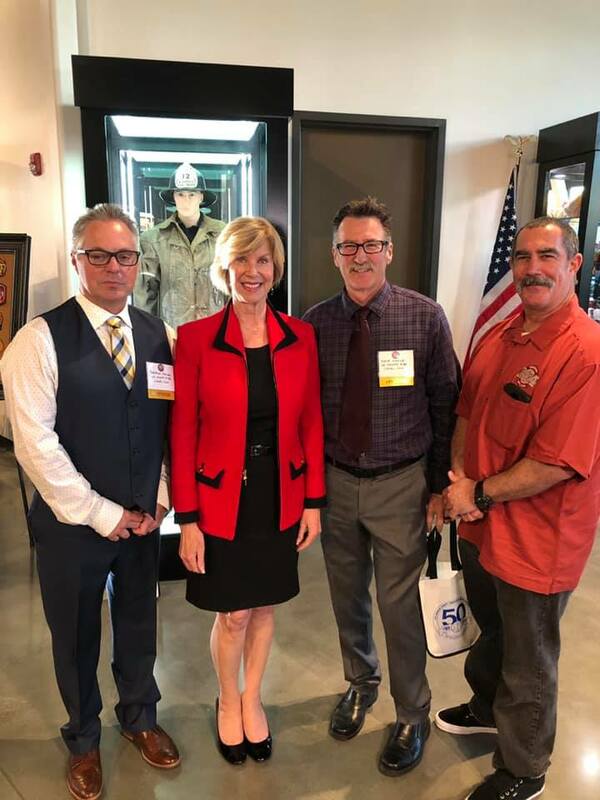 As we close the week, we also close out Union work that took your Executive Board from Washington DC to Sacramento to Downtown Los Angeles handling the critical issues and participating events that benefit our membership. Thank you to our Executive Board members for their above and beyond commitment this week. Talks with the Fire Chief continue on myriad issues, but one item in particular we highlight this Friday. We have been pressuring the Department to prioritize the purchase of additional Thermal Imagers (TI) so that each rig and officer has a state-of-the-art TI that reads heat paths and flow. This item falls at the feet of the Chief Deputy of Operations to prioritize. President Gillotte has made the Fire Chief aware of the need and we are discussing ideas to fund this valuable tool for our members. The Fire Chief has committed to keeping this a priority item in our discussions. We have every confidence we will find a way to fund the purchase sooner rather than later. We will no longer allow this item to be ignored. Our members deserve the best equipment to keep them safe while on the job. 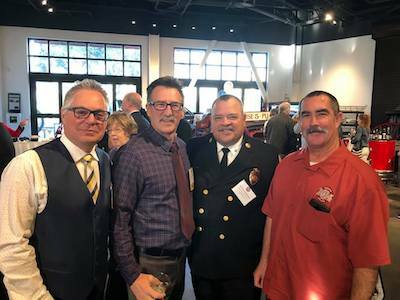 We want to highlight United Firefighters of Los Angeles City (UFLAC) Local 112 and the work of President Freddie Escobar, his Executive Board and LAFD Fire Chief Ralph Terrazas for figuring out a way to fund through their foundation the purchase of small TIs for every member of the LAFD. We are sharing this with our Fire Chief, the Chief Deputy of Operations and we will use this news from our LA City partners to help motivate our own Department on the importance of these tools. Yesterday, Local 1014 celebrated 50 years of leading the nation with the Los Angeles County Emergency Medical Services (EMS) Agency. Our Los Angeles County Fire Department was the first Fire Department in the nation to train Paramedics in a nationally accredited paramedic program with the passage of the Wedworth-Townsend Paramedic Act of 1970. We are proud to be part of the long tradition of innovation in healthcare. Responding to over 400,000 calls for service each year, our members provide world-class service to 4 million residents in unincorporated LA County and 59 contract cities. 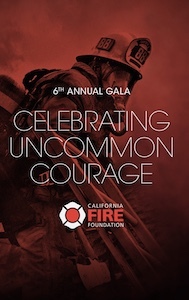 On Wednesday, the Local 1014 Executive Board was please to attend the 6th Annual California Fire Foundation Gala—celebrating Uncommon Courage. 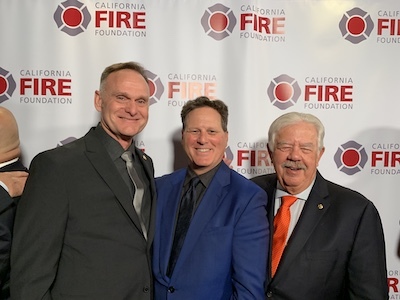 The largest statewide organization dedicated exclusively to serving the needs of career firefighters, the California Fire Foundation’s mandate includes an array of survivor and victim assistance projects and community initiatives. From providing Supplying Aid to Victims of Emergency (SAVE) cards to victims of fire or other natural disasters throughout California to providing educational assistance to the children of fallen firefighters through the California Firefighters Endowment and Daniel A. Terry Scholarship program to the curating of The California Firefighters Memorial the Foundation is there for our members and their families. 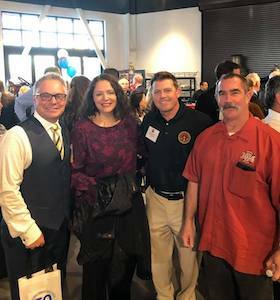 Last year, during the Woolsey Fire, the CA Fire Foundation was there for our members who lost homes and needed assistance. It is an honor to support this organization and all the work they do for our members. 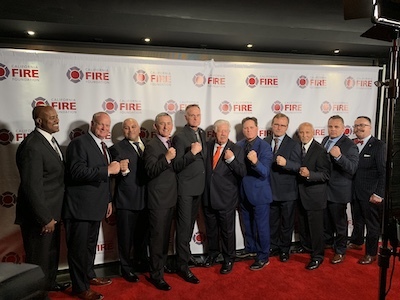 Special thank you to the entire CA Fire Foundation Executive Board for their commitment to our members and their families.